The first step in choosing a barcode scanner is knowing which types of barcodes you need to scan. This will mostly boil down to whether you only need to read linear (1D) barcodes or whether you need to read 2D barcodes, as well. Within each of these categories there are multiple types of specific barcodes, known as symbologies. There are exceptions, of course, but the rule here is that 2D barcode imagers will read all common symbologies while laser barcode scanners and linear barcode imagers will only read 1D barcodes. A linear barcode is what most people think of when they picture a barcode. Bars and spaces. The most common linear barcode symbologies are variants of UPC (Universal Product Code, the barcode you see on almost every retail package), Code 128 and Code 39. Linear barcodes hold limited data, so the characters encoded in the barcode generally need to be connected to a database that identifies what’s actually being scanned. When you scan a barcode from a 12 oz. can of Coke Zero, the scanner picks up 049000042566 but the Point of Sale software references a database of UPCs to ring up your Coke and display the details on the receipt. 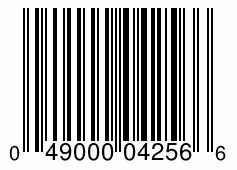 A 2D barcode is a pattern of geometrical shapes. Because the elements of the barcode exist across the width and height of the barcode (2 dimensions) they are capable of storing much more information. So, 2D barcodes are preferable for situations where you need extended data stored within the barcode itself rather than in a database to be cross referenced. The most commonly recognized 2D barcode these days is the QR Code. Other common 2D barcode symbologies include Data Matrix, Aztec and MaxiCode. General Purpose or Industrial Scanner? Industrial or other? Retail, office and light industrial environments are usually well-suited to general purpose scanners. Many manufacturing, warehouse, transportation and outdoor use environments favor the use of industrial scanners. What makes a barcode scanner industrial class? The main differentiators of industrial barcode scanners are protection from liquid, particulate matter, shock, and vibration. Ingress Protection (IP) Rating is a two digit scale for measuring protection from particulate matter (0-6) and liquid (0-8). An IP54 scanner is dust resistant and able to withstand rain or splashing water. 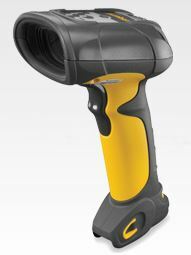 IP65 scanners are dust-proof and able to withstand low pressure water jet spray. Shock and vibration are generally measured by “Drop Specification,” which for industrial scanners has typically been standardized as multiple 2 meter drops to concrete. Honeywell Scanning & Mobility has added a “Tumble Specification” to their recently released industrial scanners at 5,000 1 meter tumbles. The bottom line here is that with barcode scanners, industrial class means durable, well sealed housing with internal shock absorption to withstand extreme conditions that general purpose scanners don’t have to endure. 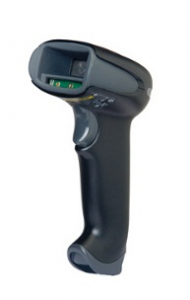 While the up-front cost of an industrial barcode scanner can be two to three times the price of a general purpose model of the same scanning technology, the total cost of ownership will be lower in environments that require them. Next time, I’ll dig into the specific barcode scanner use cases and how they further narrow device selection. Check back soon!